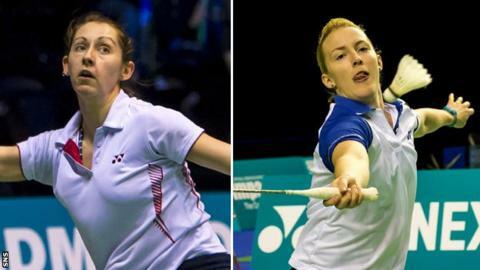 Team Scotland have named a 10-strong badminton squad for the Commonwealth Games in Glasgow. Kirsty Gilmour, 20, reached the quarter-finals in Delhi four years ago and will again compete in the singles. She will also play doubles alongside Imogen Bankier, who represented Scotland in Delhi and Great Britain at the 2012 Olympic Games in London. Robert Blair, 32, will aim to add to the silver and bronze medals he won at the Melbourne Games in 2006.